Log file is named idea.log and is rotated basing on the file size. When attaching logs to your problem report it's recommended to zip and send several latest log files (idea.log, idea.log.1, idea.log.2, idea.log.3). You can also use the Compress Logs and Show in ... action to generate the .zip file with all the log files (including the build logs and the automatic thread dumps). Can't access Help menu, how do I find the log file manually? When using external make IDE starts a separate process for compilation, this process writes logs into the %idea.log.path%\build-log\build.log file. Attach this file as well if you are reporting problems related to compilation and external build is enabled. For the more verbose logging edit build-log.xml file (located in the same directory), change <priority value="info" /> to <priority value="debug" />. Since IDEA 14.1 compiler logging is configured via build-log.properties file instead of the .xml file, change log4j.rootLogger=info, file to log4j.rootLogger=debug, file . It's recommended that you delete the existing log files, start the IDE, reproduce the problem, then attach all the produced log files. I have searched my entire system and there is no file called idea.log that I can find. I am using Mac OS Mavericks. I confirmed in /Applications/IntelliJ IDEA 11.app/bin/log.xml that the file should be called idea.log. The param reads: <param name="file" value="$LOG\_DIR$/idea.log"/> But I cannot find out what $LOG_DIR should be. Barclay Dunn, look under /Users/<user>/Library/Logs/IntelliJIdea11. They are ALL under /Users/<user>/Library! How do I configure IntelliJ to log DEBUG level information to idea.log? (I am developing a plugin and want to see debug info in the log file). IDE is using log4j framework for logging, you can fine tune it in bin/log.xml file. It's recommended to add your own logging categories with debug level. This way all the classes under the specified package will produce debug logs. If you have any other questions specific to plugin development, please use the corresponding forum. Serge, thanks for the answer - that was just what I was looking for. Can the log level be increased for the updater too? I have severe issues with the updater (support request #23223 and IDEA-121473) and have no clue how to get more details about what goes wrong with IDEA. Anyone who got a error mesage like "sun/security/internal/spec/TlsMasterSecretParameterSpec", check your JDK version in System preference panel. I was trying to licensing webstrom via strudent license. But when I type my Id/pw in license window, the above error message pops up. I send error report to the jetbrains support team, and this guy reply me. I'm using mag OsX 10.8.5 (mountain lion) and my previous JDK version is 1.7. 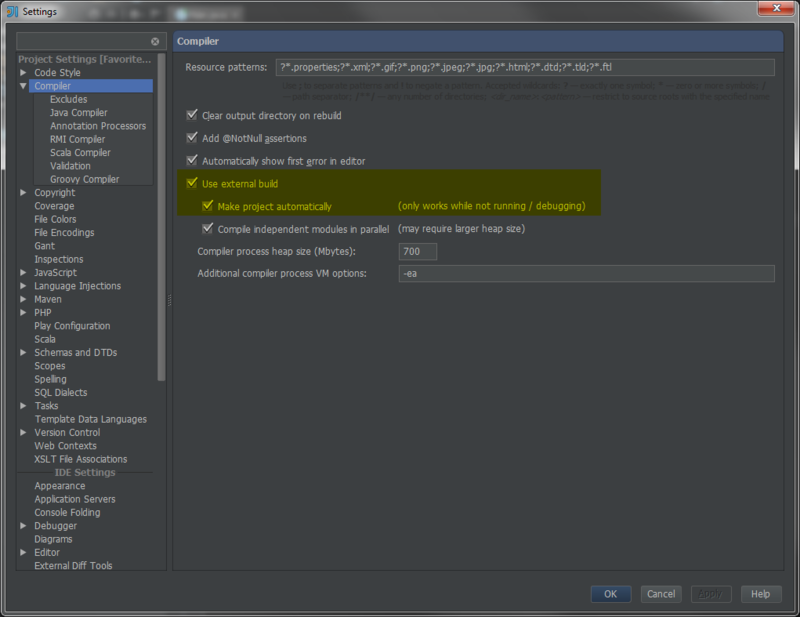 Refer to https://intellij-support.jetbrains.com/entries/27854363 , IDE (including webstorm) require JDK 1.6 version. It also said JDK 1.7 and 1.8 would make some problem. Hope this comment useful to someone in trouble like me. Auto-completion for OpenCV (cv2) module is not working. However, it is working for tensorflow. I am not getting why. Isn't there a way to view logs generate by my Scala code within InteliiJ IDEA?